Here I am minding my own business when TWO (one was VERRRRRY slow) Dinosaurs attack me!!!!!!!!!! OMG AAAAHHHH!!!!!!!!!! IT’S GONNA BURN ME!!!!!!!! These are my two favorite cards in all of card Jitsu! I was reaching for my water I dropped, then I fell out of my chair!!!! These puffles freaked me out at first but once u get to know them they are nice! They say they are the best band ever they also say they are screen hog I watched for a while and it’s true! I can’t tell what mood he is in really… I didn’t even know DJ tables had moods!! I know ninjas can turn invisible but I thought it was more like turning into a shadow… BUT HE (OR SHE) IS COMPLETELY INVISIBLE!!!!!!!!!! My yellow puffle Super Puffle painted a picture of my green puffle Houie. Omg, remember that invisible guy from the dance club? 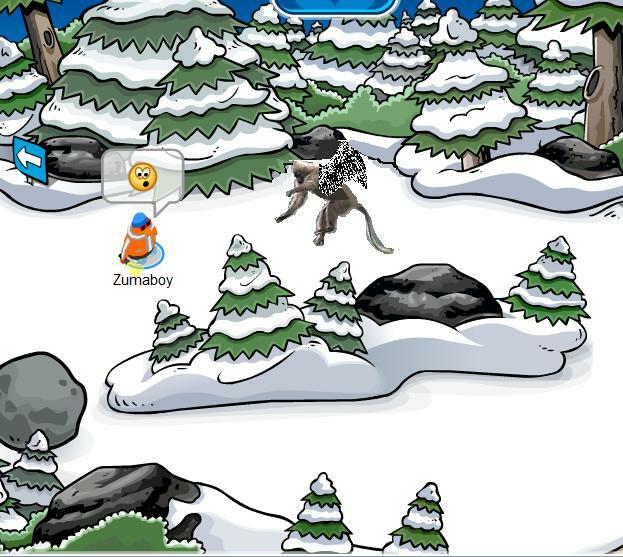 Well I just had a sled race WITH THE INVISIBLE DUDE! NOO! Not the flying monkeys! Thanks to my good pal I don’t have to go refill my bucket every five minutes! 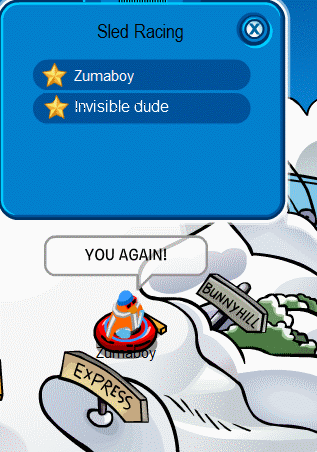 I ran quickly to the nearest igloo and it was coincidentally the invisible dude’s! 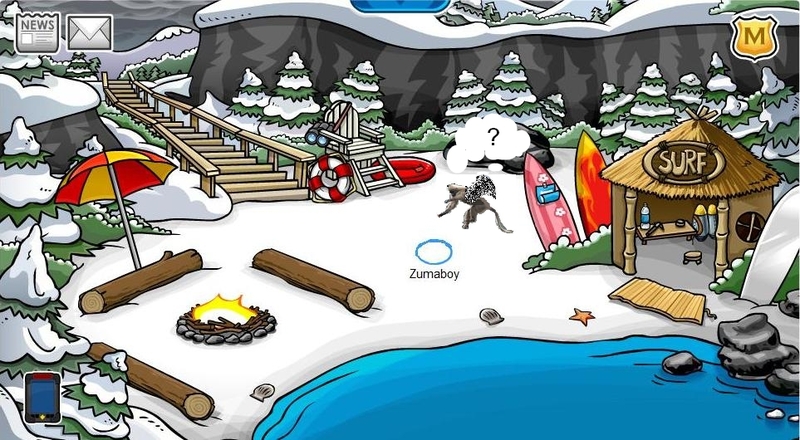 I found a translucent bubbly drink, the flying monkey chased me to the cove so I chugged down the drink and I lost the monkey, but I payed the price of turning invisible! Um is there not supposed to be some kind of string I pull? LOL, I haven’t even start my funny page yet!! i loved the first one! 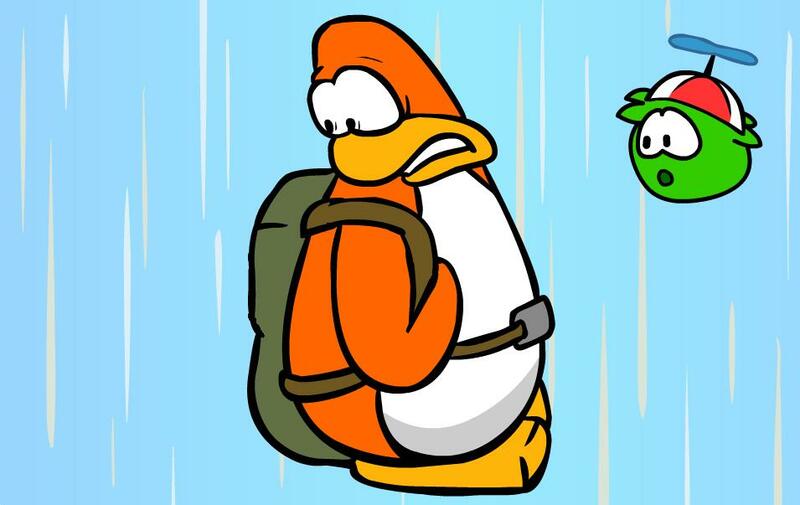 the green puffle is so funny!!!! plz do more you havent done one in like 10 years! lol your computer was slow on the card jitsu one!! Zumaboy:I know your site I was going to but u didnt answer the required questions….. You just changed the Subject lol. My first ever edited penguin is out (Batman!) Yay!!!!! I was thinking about a phineas and ferb on maybe candace too LOL! awesome u added some more! !